The end of August traditionally leaves us longing to hold onto the healthy glow that we have cultivated all season long. Do not pine away as your tan fades, give it a little boost with Institut Esthederm Sun Sheen Light Self-tanning Face Cream and Sun Sheen Light Self-tanning Body Lotion. These products can be used 3-4 times per week to stretch the life of your tan. They never turn orange or streaky and layer gradually to produce natural results. Your skin can stay party-ready all year round. Now that we have addressed the fears surrounding the possible disappearance of your seasonal lustre, let’s focus on getting the kids ship shape for September. Around this time of year, many of my clients bring in their children, as young as ages 12-21, for a back to school facial. Some of the younger adolescence I see have been at sleepaway camp and may have returned with a bit of pre-teen breakouts, while most teenagers have post-summer skin irritation due to sun exposure. Whether going back to school or off to university, it is a good time to start kids off with a simple custom regimen that will empower them to easily take care of their skin all year round. What I find unique about Travel Beauty is that one can tailor his or her own regimen and create a custom kit of products. Travel Beauty’s Concierge Service is always on call and reachable by phone or email to help create a skin care routine that is perfect for you. You can call them at 888-717-8790 or email them at concierge@travelbeauty.com. Let them know your and your child’s skin type, and they will help you create an effective skin care practice that will deliver the best results. B. Kamins Laboratories makes a gentle Vegetable Cleanser that is specially formulated for sensitive skin. It is well suited for everyone and gently removes dead skin and impurities. For those in their late teens who wear makeup and/or are willing to take an extra step, I also suggest a post cleansing toner. Lavido Hydrating Facial Toner is organic and gentle enough to use without fear of throwing off their pH balance. B. Kamins Laboratories makes a wonderful BB Cream which contains a light moisturizer, vitamins and a hint of color and sparkle. Teens and tweens seem to be wearing makeup younger and younger these days and this will give them the glow they need for every day. Another good moisturizing alternative is Alchimie Forever Daily Defense Cream SPF 23. All natural, dermatologist-tested and vegan, this moisturizer is gentle and has a light SPF, which is beneficial all year long. For young men that are about to start shaving or are already doing so, Elemis S.O.S. Survival Cream is an ideal moisturizer and/or aftershave. It fights razor burn and irritation like a charm. • Elemis Herbal Lavender Repair Mask: For normal to oily skin. Great for healing blemishes and clearing up breakouts. • Juvena Specialist Moisture Plus Gel Mask: A rehydrating mask for sensitive, dry or reactive skin. For teens that find themselves with blemishes, B. Kamins Laboratories Blemish Gel 5% is the perfect spot treatment to dab on to affected areas. It delivers the right amount of medicine in a lower dose than other over the counter treatments and will not irritate or overdry skin. B. Kamins SPF 20 Lip Balm is a no brainer. With the change of season and school stress, everyone can use a new lip balm to kick off the school year with a stunning smile! All of these products will take you and your teens through fall and into winter. 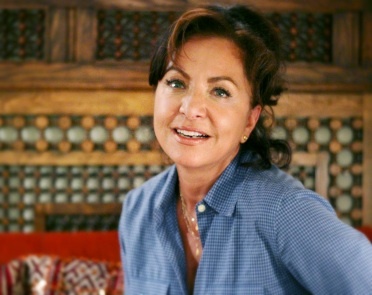 Travel Beauty’s Exclusive Q & A with Yasmine Djerradine of Yasmine Djerradine Institut de Beauté. TB: What is the single most important, best piece of skin care advice that you give your clients?